Amid controversy over the role of lobbyists in this election, the Conservatives have finally acknowledged that a former top aide to Stephen Harper who later became a high-powered lobbyist is helping run the party’s campaign. 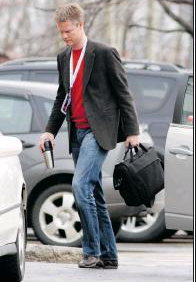 Harper’s former policy adviser, Ken Boessenkool, was photographed by the Citizen arriving at the Conservative “war room” on Lancaster Road in Ottawa’s east end Monday morning. He had an ID pass and lanyard around his neck. Later in the day, the party said Boessenkool was a member of senior campaign staff involved in “overall messaging” work. Although it had been an open secret on Parliament Hill that Boessenkool was helping run the war room, as he had done in past elections, the party had previously refused to confirm it, saying only that there were no lobbyists working on the campaign. Boessenkool de-registered as a lobbyist in September. Lobbying Commissioner Karen Shepherd has cautioned lobbyists that temporarily de-registering might not keep them out of potential conflicts-of-interest if the candidates they help go on to become cabinet ministers. But Conservative spokesman Chisholm Pothier says Boessenkool did not de-register specifically for the campaign. Boessenkool served as Harper’s policy adviser until 2004. Because he left the party before it formed the government, he wasn’t covered by the Federal Accountability Act, which has kept ministerial aides from taking jobs in the lobbying business. He has represented a stable of blue-chip clients, including drug company GlaxoSmithKline, wireless provider Globalive, and TASER International. He has worked for lobbying firm Hill & Knowlton and is currently senior counsel for the GCI Group, a government relations and public relations firm. 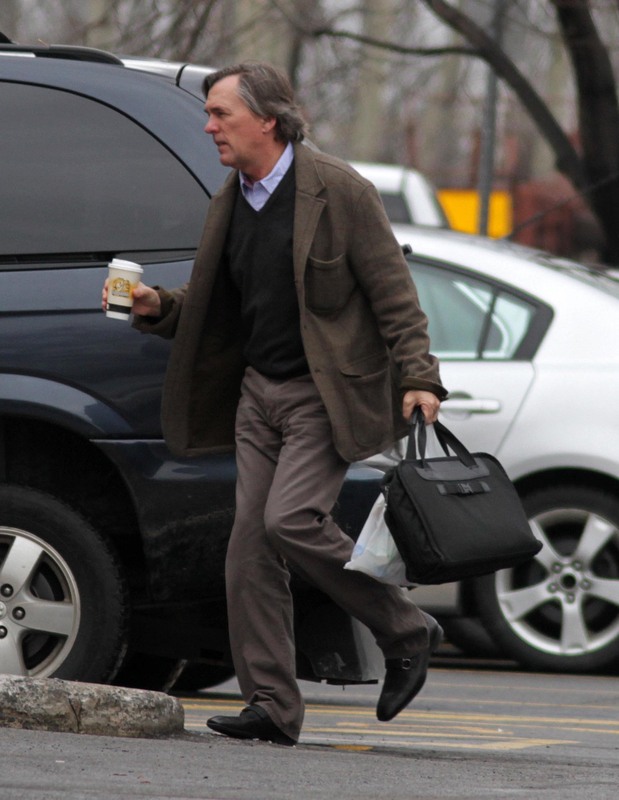 Also seen arriving at the war room on Monday was Ian Todd, a former aide to Reform Party leader Preston Manning and chief of staff to then-Canadian Alliance leader Stockwell Day. Todd later worked in the Harper government as chief of staff to Monte Solberg, then human resources minister, before leaving for the private sector. Although he would have been forbidden from lobbying for five years, in accordance with the Federal Accountability Act, Todd is now listed as vice-president of government and media relations for Enmax, the Calgary power utility. Pothier says Enmax’s government relations work is with the Alberta government. Though Enmax does lobby the federal government, Todd isn’t listed on the company’s registration with the Office of the Commissioner of Lobbying. In the first week of the election, the Halifax Chronicle-Herald reported that Boessenkool and former lobbyist Jason Lietaer held senior posts in Conservative campaign control room. They were also mentioned by parliamentary newspaper The Hill Times. But the party would not acknowledge their roles. Top Liberal lobbyists such as Michael Robinson are sitting out the election. Robinson had always helped Liberal leaders prepare for the televised debates. But this year, rather than help Michael Ignatieff get ready for tonight’s debate, he is heeding the warning letter sent by Shepherd on March 28. Shepherd has refused to clarify her letter and will not say whether someone in Boessenkool’s position would create a conflict of interest. Her staff says she will not comment until after the campaign. One local lobbyist, former Conservative candidate Walter Robinson, says he plans to defy Shepherd’s warning, saying her instructions were a restriction of his constitutional rights. He said he planned to canvass door-to-door on behalf of Ottawa Orléans Conservative candidate Royal Galipeau. Boessenkool was hired in 2007 by drug company Merck Frosst Canada to lobby on immunization issues. Shortly after, the Harper government suddenly announced a $300-million fund for immunizing girls against HPV, the virus that causes cervical cancer. Merck Frosst, maker of Gardasil, had the only approved vaccine on the market.